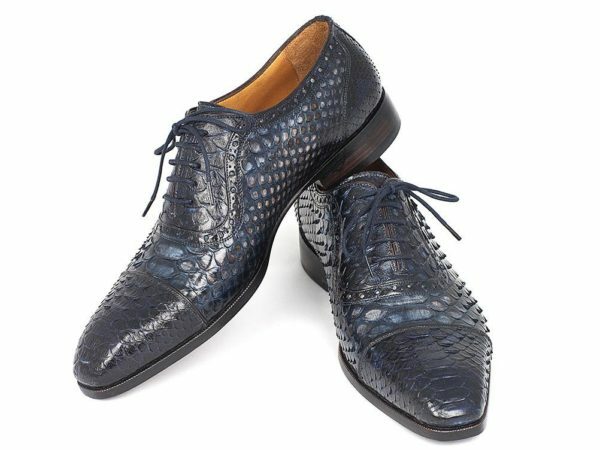 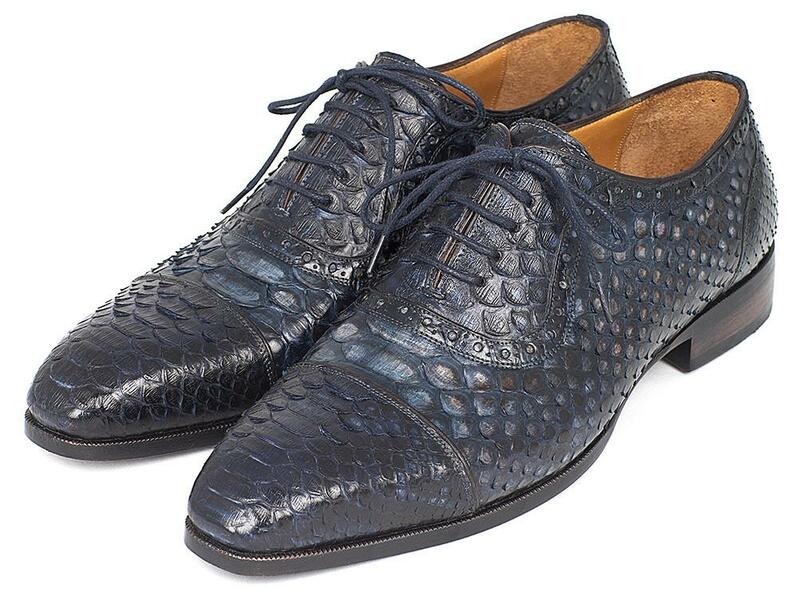 Navy genuine python skin hand-painted upper. 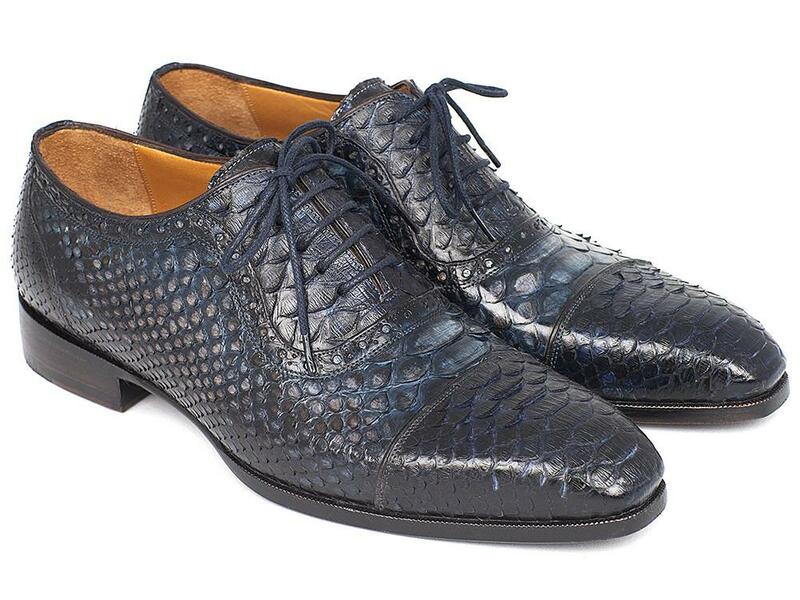 Captoe style men's oxford handmade shoes. 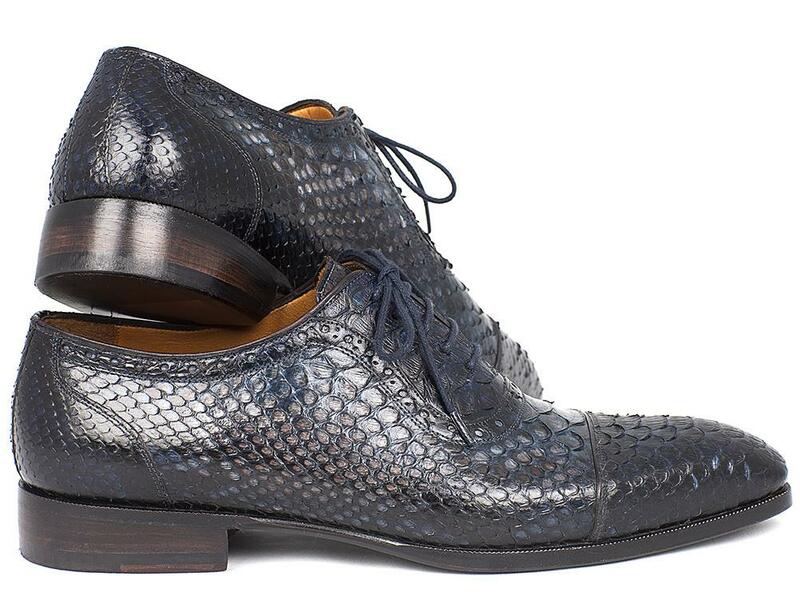 Natural leather sole and camel color leather lining. Navy genuine python skin hand-painted upper. 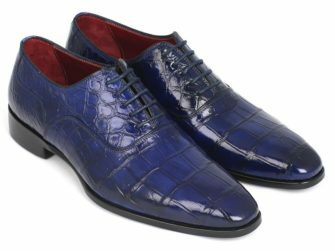 Captoe style men’s oxford handmade shoes. 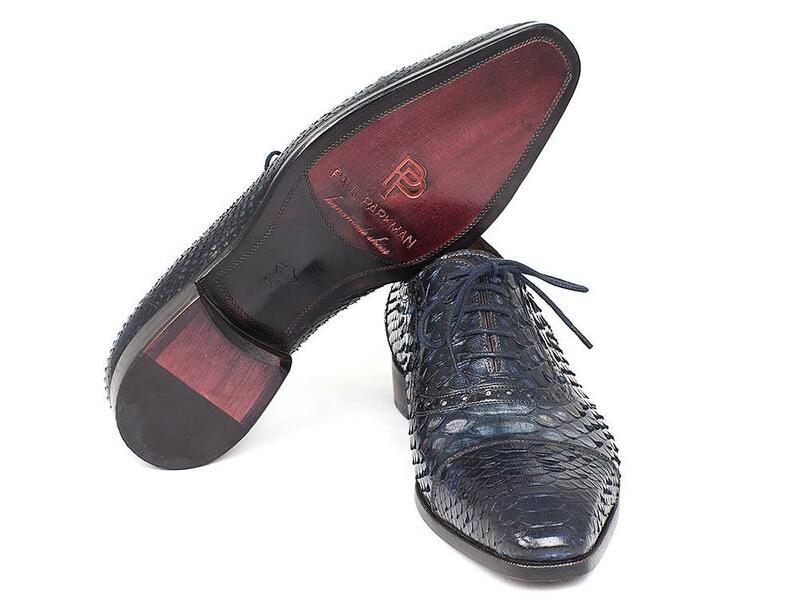 Natural leather sole and camel color leather lining.